4' Dimensions: 48"W x 11"Seat Depth x 32 1/2"Ht. 140 Lbs. 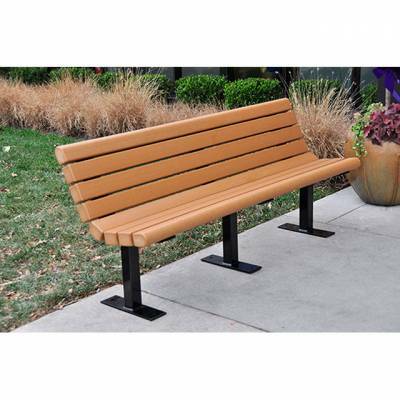 Made with eight 3" x 4" recycled plastic slats and black powdecoated steel base. Pre-drilled holes and surface wedge anchor included for surface mounting purposes. 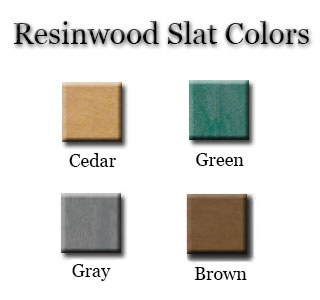 Available in brown, cedar, gray, green with black base. Our 4ft. 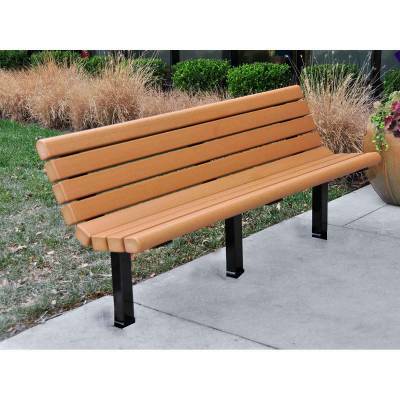 Jameson Recycled Plastic Bench is a sought after style for all commercial applications! Easy on the eyes and the budget and is also an excellent choice for the environment! Will withstand the elements easily and is maintenance free! Color choices available! Comes with a 5 year commercial warranty! Best of all...Made in the USA! Call or email National Outdoor Furniture today for a quick quote!